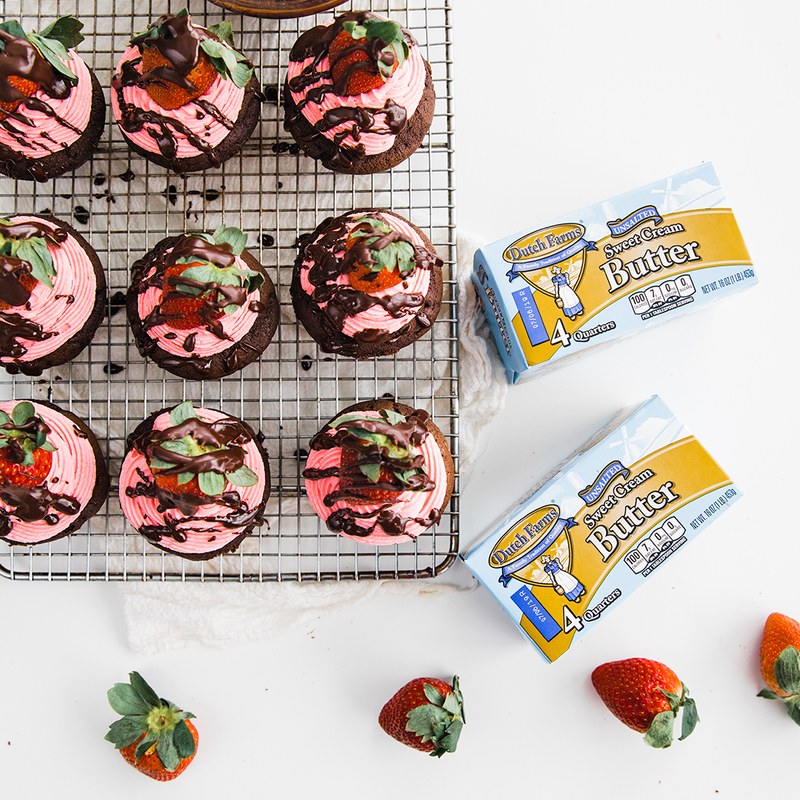 Cupcakes: Add the butter and sugar to a standing mixer with the paddle attachment and whip on high speed for 3 to 5 minutes or until light and fluffy. Add in the vanilla and then 1 egg at a time until completely mixed in. 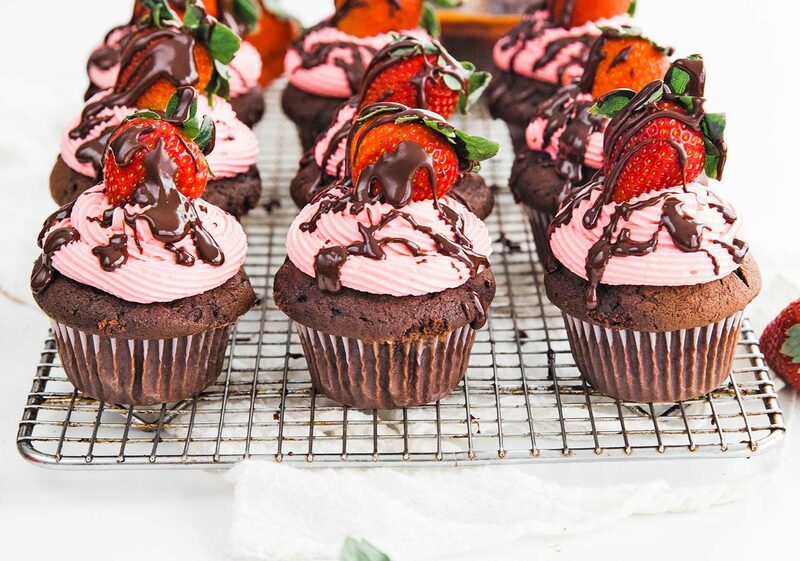 In a separate large bowl whisk together the flour, baking soda, baking powder and cocoa powder. Alternately add the dry ingredients with the mix beginning and ending with the dry ingredients until mixed in. 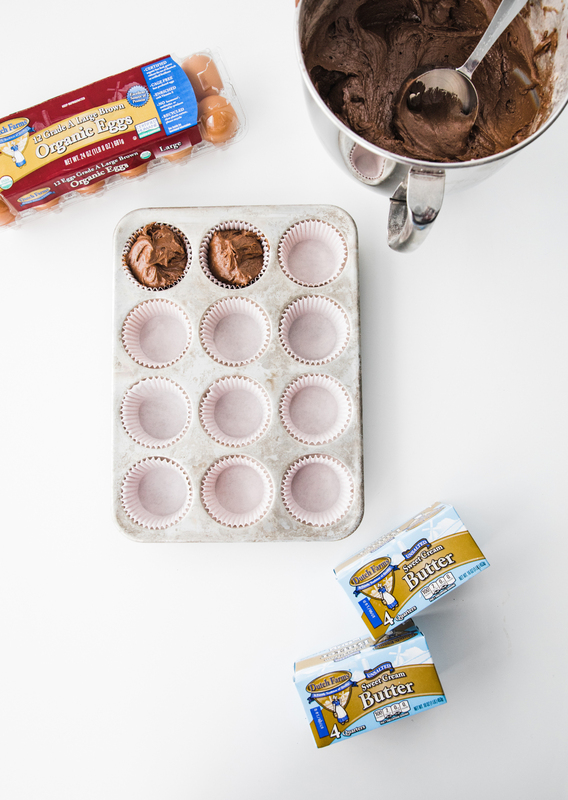 Evenly distribute the batter between 12 cupcake inserts and bake at 350° for 25 minutes or until cooked throughout. Cool completely. 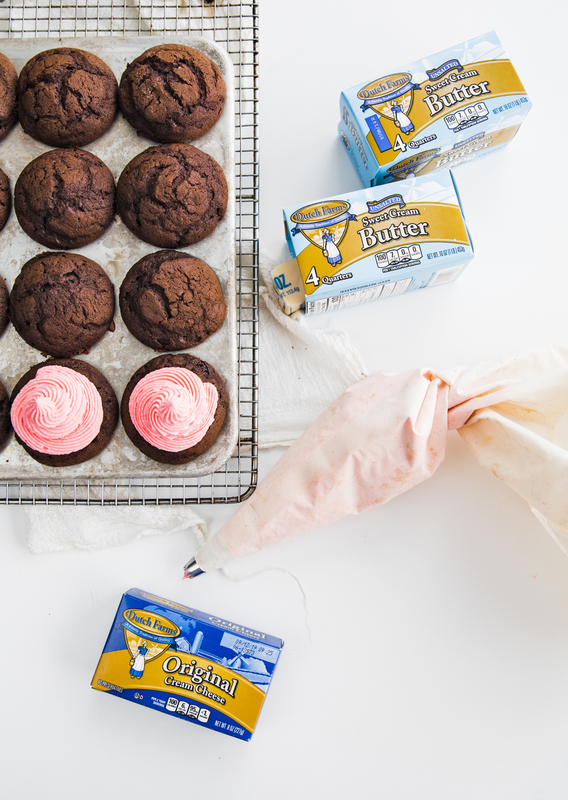 Frosting: Add the ingredients to a standing mixer with the paddle attachment on medium speed and whip for 3 to 5 minutes or until light and fluffy. 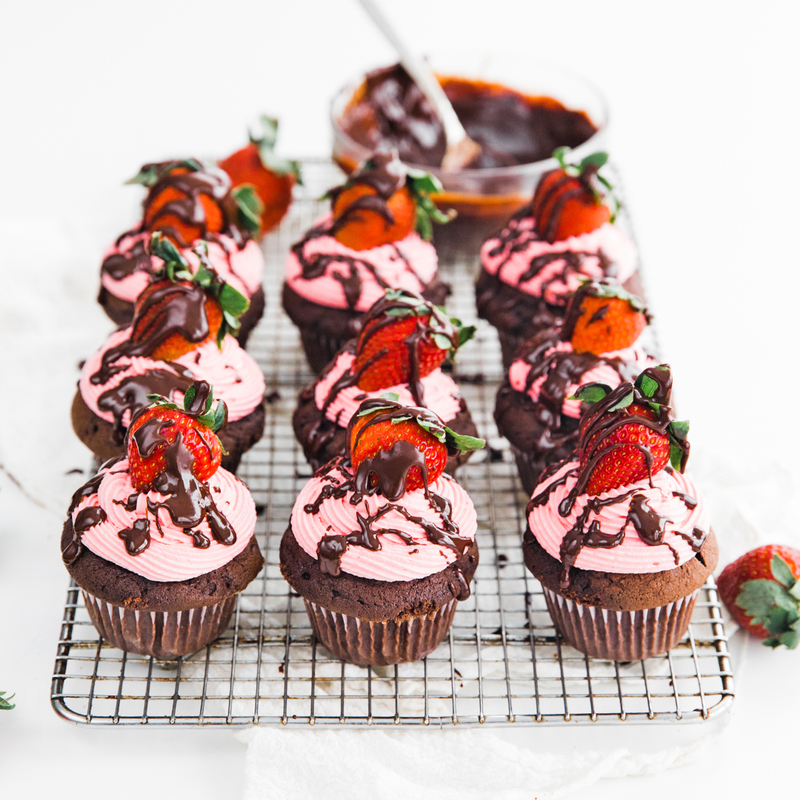 Frost the cupcakes using a piping bag and tip and garnish with fresh strawberries and chocolate sauce.